If you’re looking for a new off-road SUV that’s stylish and technologically advanced, look no further than the 2019 Jeep Cherokee now at Naples Chrysler Dodge Jeep RAM! We have a large selection of 2019 Jeep Cherokees available, all at our best prices. Test-drive yours today at Naples Chrysler Dodge Jeep RAM – your preferred Jeep dealer serving Naples, Bonita Springs, Cape Coral and the surrounding areas in Florida. The name Jeep is synonymous with adventure and the Jeep Cherokee is full of it. Offering impressive power and efficiency the Jeep Cherokee is up for any adventure that awaits. With 3 different engine options you can be sure to find the right one with all the power and towing capacity you’ll need. The standard 2.4L Tigershark® MultiAir® front wheel drive engine delivers 180 horsepower and 170 lb.-ft of torque with up to 2,000-pound towing capacity. With the upgradable 3.2L PentaStar® V6 you’re looking at an impressive 271 horsepower with 239 lb.-ft. of torque and up to 4,500-pound towing capacity. And last but not least is the available 2.0L Turbo engine that delivers ultimate power and performance in this compact SUV delivering 270 horsepower with 295 lb.-ft. of torque for extra towing capacity. The available 4-wheel drive system gives the 2019 Jeep Cherokee even more impressive capability with 3 optional innovative systems for all your off road adventures. The Jeep® Active Drive I 4×4 System features a rear axle disconnect feature that will only engage when necessary for enhanced efficiency. The Jeep® Active Drive II 4×4 system includes the previous features and adds a low range and neutral mode for additional capability, and the Jeep® Active Drive Lock 4×4 system includes a mechanical rear axle lock and Selec-Terrain® Traction Management Rock mode for the most extreme off-road scenarios. Be trail ready with the 2019 Jeep Cherokee Trailhawk® edition, which is equipped for limitless exploring and powerful Trail Rated® capability to help make any adventure possible. Looking from the outside of the 2019 Jeep Cherokee you will see its superior performance and off-road capabilities, not to mention the great selection of vehicle color and trim options, but the inside of a Jeep Cherokee is to be cherished on its own. The exquisitely crafted interior offers comfort and luxury as well as the ease of some of the latest technologies to help make your road trip or outdoor adventure one to remember. The 2019 Jeep Cherokee comes equipped with various available premium leather trim colors accompanied by different colors of accent stitching (varying by model), ambient lighting, heated/ventilated front seats, heated steering wheel, and a COMMANDVIEW Dual-Pane Panoramic Sunroof. Your music can also now sound just as good as the Jeep Cherokee looks with the available Alpine Premium Audio System with a 12-channel 506-watt amplifier that features an 8-inch subwoofer and 9 high-performance speakers selectively placed around the cabin for an all-encompassing audio experience. Jeep has updated the infotainment system in the Jeep Cherokee with faster processors, a larger 7.0-inch infotainment touchscreen on the standard Latitude model that is upgradable to an 8.4-inch touchscreen. Learn more about all of the technology features standard or available on every Jeep Cherokee at your preferred Jeep dealership, Naples Chrysler Dodge Jeep RAM. Even with all the fun and adventure the Jeep Cherokee brings to drivers, it doesn’t lack in safety with some of the most technologically advanced features available. Available standard across all trims of the Jeep Cherokee are 8 strategically placed airbags for the front, rear and sides and a high-strength steel body that creates maximum crash protection for you and your passengers. The 2019 Jeep Cherokee features with a number of available accident avoidance systems including blind spot monitoring, LaneSense® lane departure warning, full-speed forward collision warning, and rear cross path detection. Parking has never been easier with the available Parkview® rear backup camera with parking assist and automated parking, which can assist you in navigating into a parallel parking space. 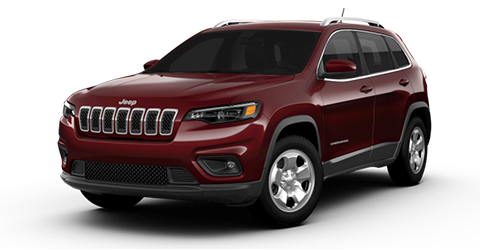 For added convenience, the Jeep Cherokee is available with adaptive cruise control with stop and go, keyless enter n’ go, remote vehicle start, automatic headlamps and tire fill notification. All of these features to make your ride safer and more enjoyable. Experience them all today at our Naples Chrysler Dodge Jeep RAM car dealership. Ready to see the 2019 Jeep Cherokee for yourself? Then stop by Naples Chrysler Dodge Jeep RAM today to get behind the wheel for a test drive. Come chat with our knowledgeable and friendly service staff, they are here to answer all of your questions about the 2019 Jeep Cherokee and get you driving in one today. 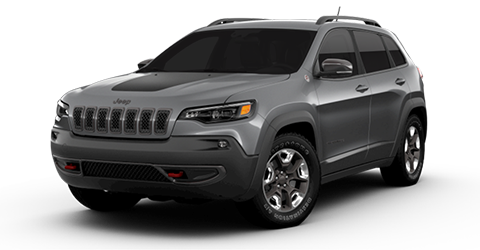 Our Naples, FL car dealership offers an extensive selection of popular Jeep Cherokee models including the 2019 Cherokee Trailhawk, Jeep Grand Cherokee, and more. We proudly serve Naples, Bonita Springs, Cape Coral and all surrounding areas in Florida. Experience the 2019 Jeep Cherokee and Research Other Models at Naples Chrysler Dodge Jeep RAM Today!